Where does your quinoa come from? 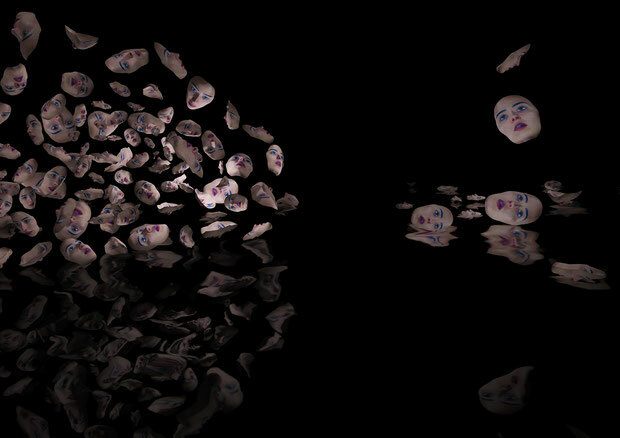 “all around me are familiar faces” is a virtual reality experience that immerses the user in a dimly lit environment, filled with clones of the artist’s 3D scanned face. Around the centre area, new faces pop-up randomly, accompanied by eerie drones as well as by breathing and crackling sounds, while others float on a watery dark floor. 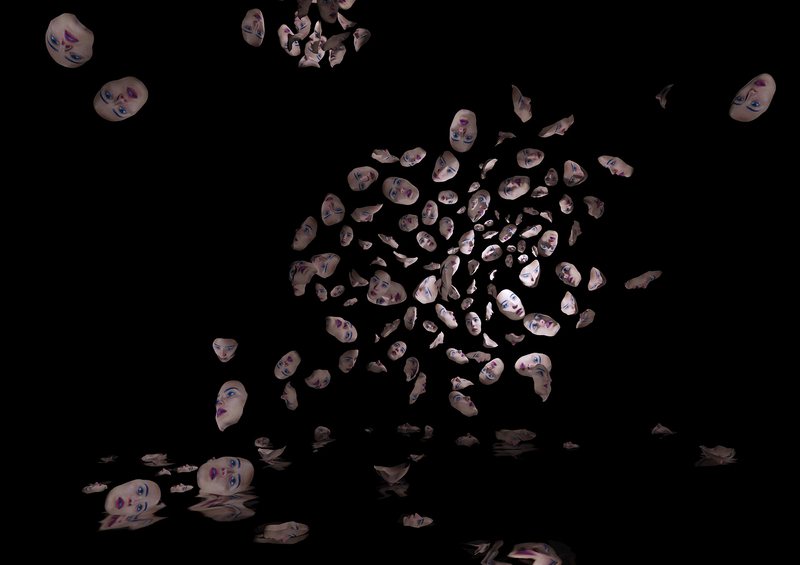 During the experience, the user can freely move and look around but is constantly “watched” and followed by a cloud of faces that continuously obstruct the view. 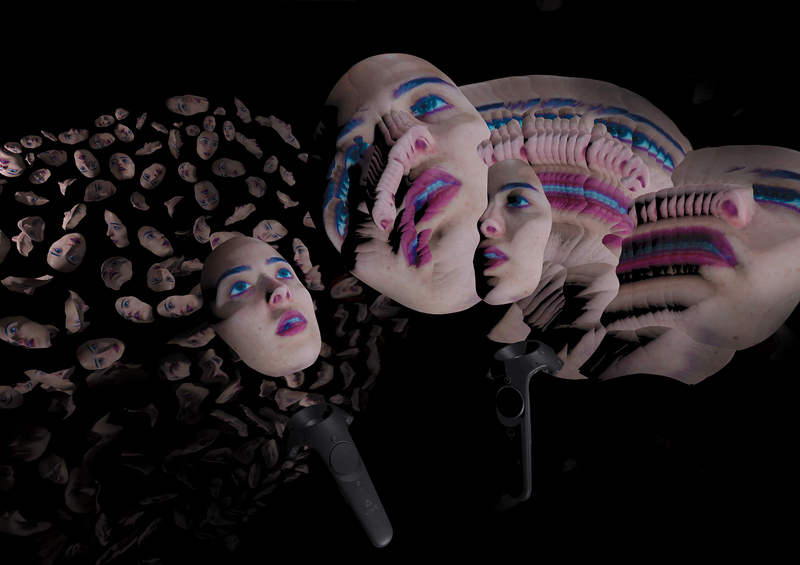 Similar faces are attached to each of the virtual controllers. 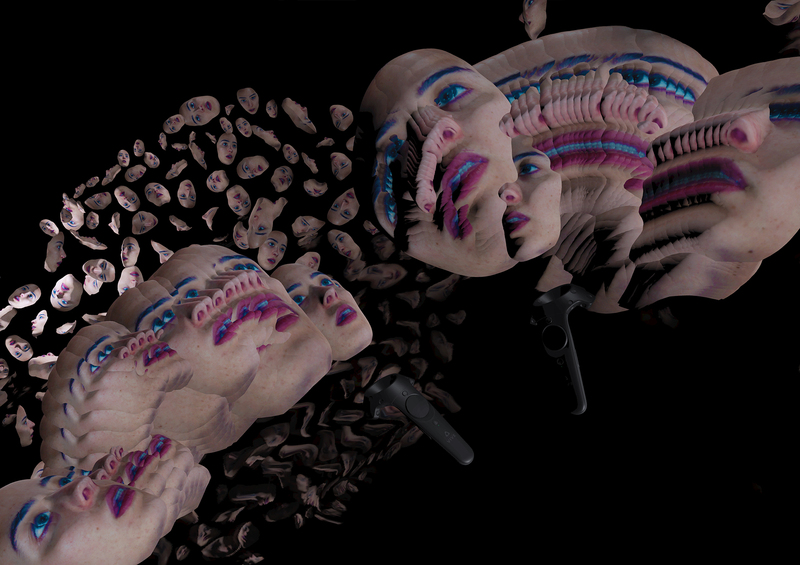 By pressing the trigger button and moving the controllers, the user can clone the faces and is able to create three-dimensional sculptures with them. The pressure strength used on the trigger button determines the scale of the clones: stronger pressure results in bigger faces. Every time a user takes the HMD off, the virtual sculptures created disappear, cleaning the space for a new experience. In “all around me are familiar faces” the artist’s face exists simultaneously as a virtual self-portrait and as a tool for creation. The artist’s identity multiplies and vanishes, becoming a virtual three-dimensional brush for everyone else to use and reinvent. Martina Menegon (Italy, 1988) is an artist and lecturer of Virtual Reality and Interactive Arts at the University of Applied Arts in Vienna and at the Art University in Linz. 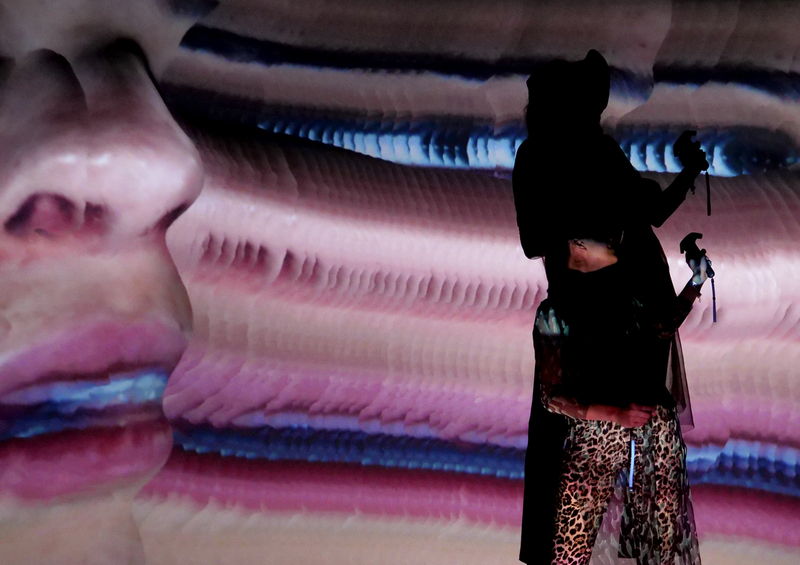 Through multimedia installations that spawn between Interactive, Virtual and Mixed Reality Art, Martina Menegon creates intimate and complex assemblage of physical and virtual elements that explore the contemporary self and its synthetic corporeality. 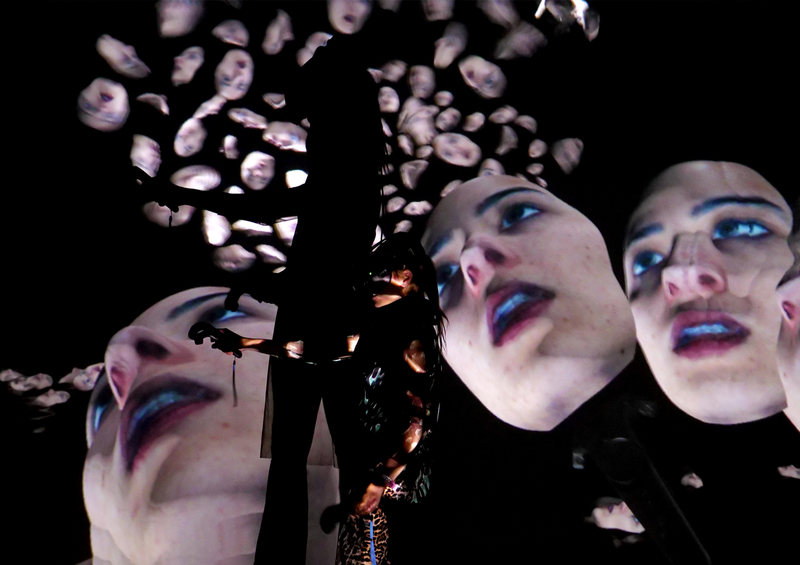 She also regularly collaborates with Klaus Obermaier and Stefano D’Alessio, teaching multimedia tools for interactive arts and creating interactive performances and installations. Martina Menegon currently lives and works in Vienna, Austria. If you are interested in exhibiting or viewing this artistic VR experience, please send an email to us.